The nation was stunned and aggrieved when news broke of Karpal Singh's fatal car accident in the wee hours of 17 April 2014. In the Toyota Alphard with Karpal was his personal assistant, Michael Selvam Vellu Cornelius (39) who has long served the Tiger of Jelutong, helping him in and out of his wheelchair and selflessly attending to his needs. Both Michael and Karpal were instantaneously killed by the impact, while Karpal's 38-year-old son Ramkarpal and the driver were slightly hurt. Also in the car was their Indonesian maid who sustained severe injuries and has been hospitalized. Thinking about the way Karpal's loyal assistant Michael followed his illustrious master through the portal of death beyond the call of duty, I was reminded of Don Quixote and his faithful companion Sancho Panza. 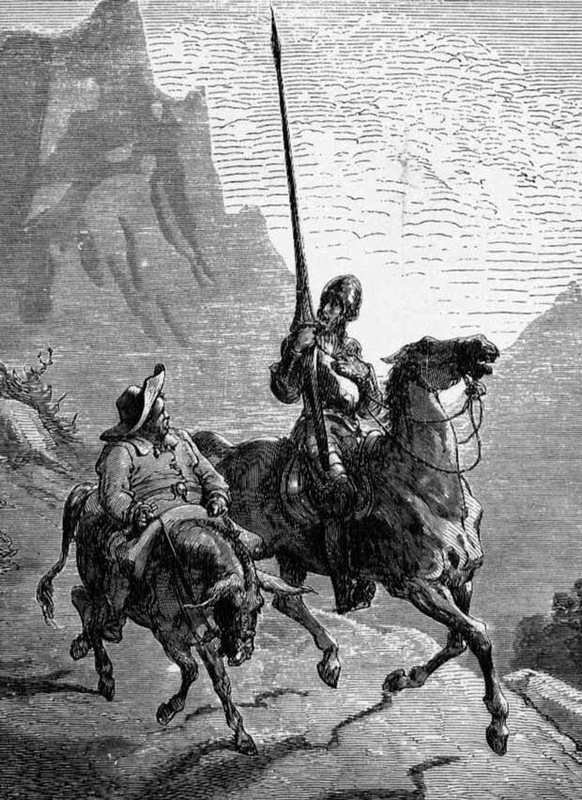 Miguel Cervantes published his classic Don Quixote novels in the early 17th century as a vehicle to explore his own apprehensions as the Western world transited from the Age of Chivalry to a new Age of Exploration, Invention and Adventurism. 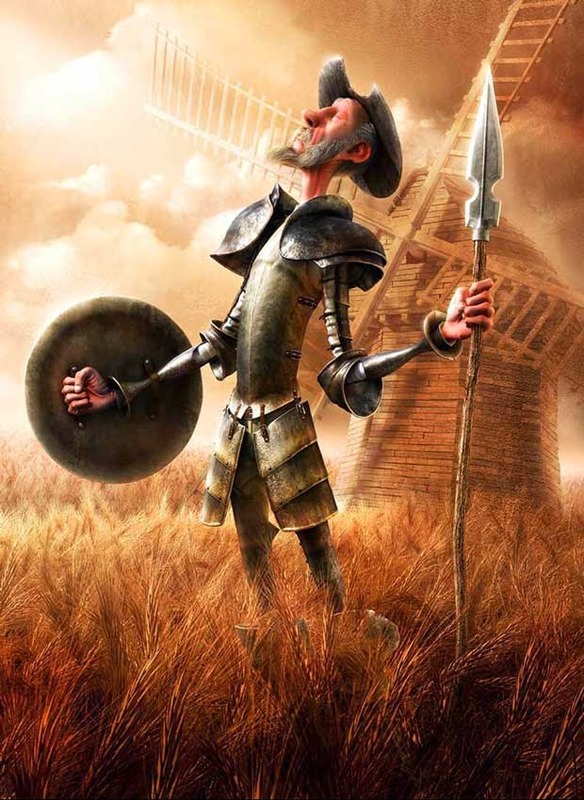 In a famous scene, Don Quixote attacks a windmill with his knightly lance, mistaking it for a monster. This spawned the phrase "tilting at windmills" which can either mean doing battle with illusory enemies - or crusading against monolithic institutions, seemingly impossible to modify, upgrade or dismantle. Karpal Singh courageously stood up to the rising tide of religious and racial fanaticism to the very end. His last words in Parliament were: "Stop playing around with the Constitution!" He was prepared to throw the book at all miscreants, even if their royal status provided a measure of immunity. 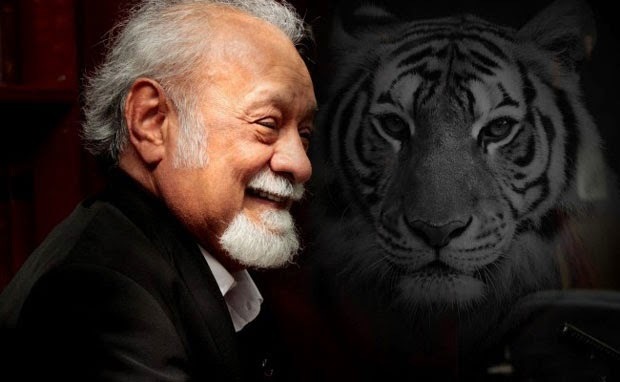 In a nation caught between the feudal and digital age, Karpal was among the outstanding few who had the nerve to face the dire consequences of his public criticism of royal misdemeanors. 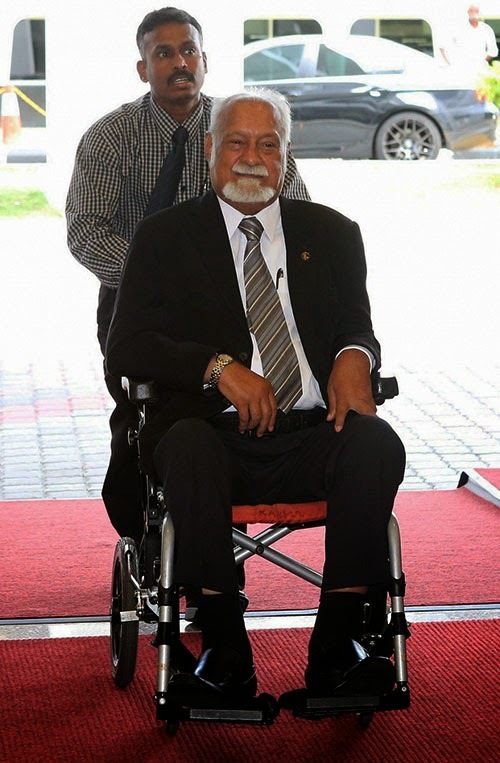 Political columnist Karim Raslan wrote of Karpal: "He was the kind of man who called a spade a spade and then proceeded to hit an adversary over the head with the same spade." His outspokenness and adherence to principles caused ripples of unease among friends and foes alike. Much as he desired to see authentic change in the government, he wasn't prepared to bend the rules to attain his political objectives. He voiced his personal opinions, even at the risk of stepping on friendly toes. 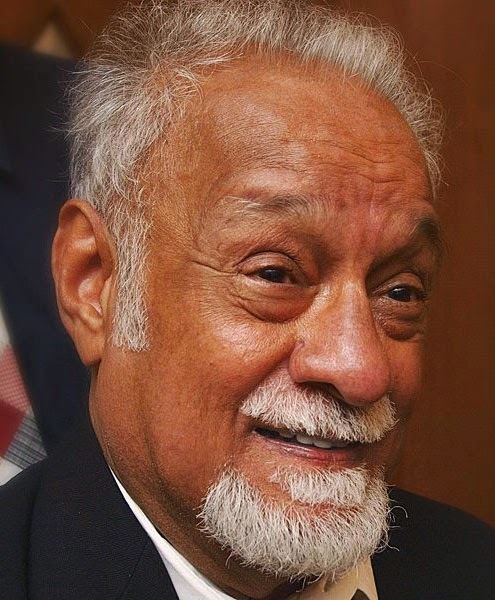 While his political colleagues and allies chose to gloss over ideological differences for the sake of a united front, Karpal always made it clear that the Federal Constitution protected freedom of belief - and that the notion of an Islamic state under Syariah law was antagonistic and anathema to the concept of a secular democracy as enshrined in the Malaysian Constitution. Here was an indefatigable defender of justice - loved and admired by the honorable, feared by the hypocritical, and loathed by the mediocre. Whence comes such another? Bless you and thank you, great soul! Thanks for this tribute. One might be tempted to use the phrase R.I.P. but from this post it's clear he is a man for whom rest is not a major attraction!